Here is a position from one of my games in the final 4NCL weekend. White to play and ramp up the pressure. The solution is given further down. A few disappointing results will see me shed 8 points in the next list. A steady performance in the Central London Chess Congress gained me 2 points, but I did not play well at the 4NCL. In the position above, I had played reasonably up to this point, and was looking to increase the pressure on black’s weak e6 pawn. This can be achieved with the simple Rfe1, when Qxd4 runs into a fork after Nxe6, and Rfe8 allows Nxg6. I saw both of these points, but strangely thought that Kf7 was holding things together for Black. I can’t quite remember what was going on in my head at this point, but imagine I noted that Black had e6 adequately defended in terms of number of pieces, without bothering to check what those pieces were. Of course, after Kf7 I can simply take on e6, emerging up material. Instead of Rfe1 I complicated matters with Qc5, leading to an interesting rook and knight ending which was eventually drawn. This was followed by my first and only loss this 4NCL season the following day, after another bad calculation error. I recovered slightly on the final day by beating an underrated junior, but the damage had already been done. This will make the uphill climb I face over the next few months even steeper. Whilst my rating is not yet close to 2100, my performance for this year is getting there. Over the 14 FIDE-rated games I have played in 2016 my performance is 2068 (sadly down from 2140 before the last 4NCL weekend), and in my 38 ECF-graded games it is 179, which equates to 2080 FIDE. Combined that is a decent sample size, so I am confident that I am getting stronger. Even so, another sizeable jump in performance will be required in order to get close to 2100 by September. I have only hit the 6 hour weekly target in two of the four weeks this period, due to busy weekends. The weekends have been busy with tournaments, so I have still been doing chess, but I would like to be able to fit at least 6 hours in during the week. I studied during my lunch break at work today, and am going to see if that is sustainable. This weekend I am playing in the Frome Congress, in a last ditch effort to qualify for the main section of this year’s British Championship. In the UK, winning the Open section of a weekend tournament is generally required to qualify for the British, but if the winner has already qualified the qualifying place moves on the next finisher. This late in the season a lot of people have already qualified, so I am hoping finishing in the top 5 or so (still a big ask) will be sufficient. As usual, do let me know if you have any thoughts or questions by posting in the ‘Comments’ section below. There’s no place like Frome. Be sure to bring your ruby red slippers. Good luck. Haha. 🙂 Doesn’t quite work as Frome is pronounced ‘Froom’. Had a very up-and-down tournament, but ended up gaining 14 points (though didn’t qualify for the British). because they were recommended on so many pages that I just wanted to give them a try, I honestly I can say that those are the most useful books I’ve ever read, seeing the game from different players strength I was able to fix many mistakes I was doing in my games. The best part is that those books are about general chess understanding not move orders or certain variations and they have test included. I just wanted to recommend them to you as well. Good to hear from you. Best of luck with your aims, and let me know what progress you make. Regarding those three books: I don’t own ‘The Amateur’s Mind’, but had the impression it was aimed at slightly weaker players than me; I have read parts of ‘Reassess Your Chess’ before, and found it interesting, but never made it all the way through; I also own ‘Complete Endgame Course’, and it seems like a good, well-organised book, but for now I am going with ‘100 Endgames You Must Know’, which is also well-reviewed. That was my first endgame book by Jesus de la Villa Right?, I’m still reading it but I do like the writing style from Silman too. 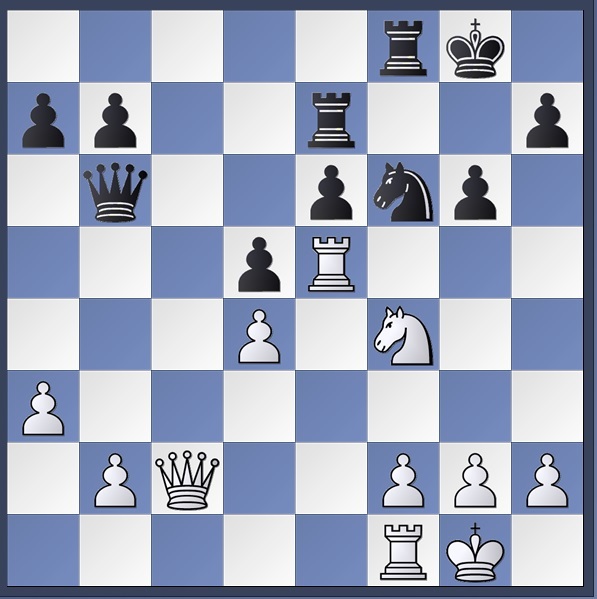 Well I won my first game against a 1531 rated player, nothing exciting, but I was disappointed with my game I just blundered a pawn in the opening because I’ve never had a defense vs d4(I’m an e4 player), I’ve played some QGD games and some KID, but I don´t feel confident enough of using them vs stronger players with preparation that’s why I played the Dutch, I studied it for 3 days but it was not enough to have a plan for the variation I played against, I knew stonewall in may game would be good but since I just studied leningrad system I did not want to go in to the stone wall and I just play “logical” moves, luckily I was ahead in development and I was able to put some pressure on him. For now, I’ll back to the caro-slav family, since that study serves against e4 and d4, I don’t want to spend much time in the opening again, because I’m kind of frustrated, I spent most of my time in chess studying the Sicilian just to find out that I’m more comfortable with positional play and now I want to move to d4 and I will start from 0, so for now I just want to make my repertoire based on defenses that require as little theory as possible. Do you have some recommendations? P.S. English is not my first language, but If I play an interesting game in this tournament I’ll try to share it with you with my comments. Personally I wouldn’t worry too much about opening preparation until you get to 1800+. Just pick a sound set of openings and don’t change them too often so that you build up experience in them and get a feel for the positions. An interesting approach to analysing your own games and trying to figure out what sort of openings would suit you is described in both ‘Chess for Tigers’ and a ChessBase article by Grivas – the link to the article is at the bottom of this page, called ‘Part 2: Getting to Know Ourselves’, but it doesn’t seem to be working at the moment. I have tried this kind of analysis myself, but can’t say I have fully implemented the results, and I think there is also a case to be made for the opposite (picking openings that take you out of your comfort zone, to make yourself a more rounded player). Indeed. Great character. I met him briefly at the London Classic a few years ago. The tournament has been going well, I lost a game on time against a 1900+ player on a won endgame rook + 5 pawns vs rook + 3 pawns I had 2 minutes to end the game which is more than enough for me to win that position but sadly Instead of just pushing I started calculating a mate and my time ended, I just didn’t notice, I play very slow all the game, and talking about bad habits one of mine is to calculate the same variation more than once even when it is just plain bad. My last game is this saturday vs a 1800+ player as white, hopefully I can play the english attack of the sicilian. I’m 3/4 after four rounds. I do the old fashioned thing as well, it just feel good to write in paper, in fact i just bought a Moleskine notebook just for recording my tournament games. Hope the last round went well.